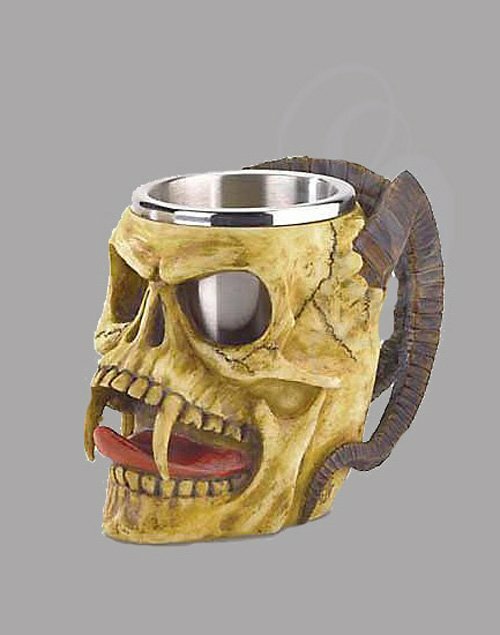 Hoist your grog aloft in this fiendishly fun tankard! The hearty skull-shaped cup is the perfect vessel to hold 15 oz. of your favorite beverage! Polyresin with steel cup. Removable steel cup is dishwasher safe. CA Prop 65 notice. Polyresin. 7 1/2" x 4 1/2" x 5 1/2" high.